Odds are you've never heard of Harold Feinstein but you should have. Born with an incredible talent he was selling his photos to the Museum of Modern Art as a teenager and as an adult he had solo exhibitions where all his works sold out. However a combination refusing to be part of MOMA's Family of Man exhibition and taking a job teaching kept him out of the public eye for decades. This amazing look at the life and work of one man will make your jaw hang open. Told via talking heads and interviews made before Feinstein died, this film helps to put this remarkable man back on everyone's radar. Beginning in the 1940's a Feinstein simply took photographs. 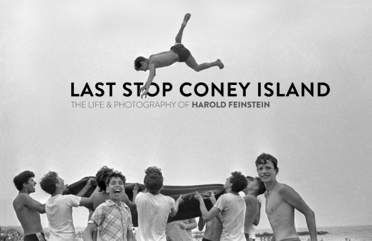 Mind blowing photos that chronicled life in NYC and Coney Island in particular. We watch as he got some success before being drafted, and then greater success when he returned and help do the art work for the Blue Note Record album covers. We watch his personal life ebb and flow as he career did. Always however he was taking pictures and the film is full of them, some of the most amazing ones you'll ever see. He was always looking seeing and trying new things- His greatest success was his color photos taken with a computer scanner of flowers and shells toward the end of his life. What I love about the film is that not only do we get to know the man we get to see what he is doing. We see how he took shots, or cropped them in the dark room (one image became three prints) or used a scanner to take picture that leave you breathless. The magic is explained and made more magical in the process. What I love about the film is not only do we get to know the man and his art but the time he lived in. We see Coney in the 40's and 50's, the life of a soldier as only a grunt could see it, the Jazz greats, the counter culture and everything else along the way. This is a history of us as well as the man. This film is a masterpiece. It is easily one of the best films at DOC NYC and a must see. LAST STOP CONEY ISLAND plays November 14 and 15. For tickets and more information go here.